The purpose of this paper is to address a source of pollution from routine flight line C-130 engine compressor washes identified at Little Rock AFB, Arkansas, home of the 314th Airlift Wing. The compressor washes were required by technical order procedures. Recent public health and wastewater compliance sampling efforts are discussed. Viable management options are presented. Technical order (T.O.) mandated engine compressor washes were performed routinely 011 C.- 130 aircraft. The effluent from the compressor washes contains levels of cadmium that exceed the regilatoiy level established in 40 CFR 26 1.24. Areas of concern included potential public health impact and environmental compliance in accordance with the Resource Conservation and Recovery Act (RCRA), the Clean Water Act, and the Comprehensive Environmental Response Compensation, and Liability Act. Although discovered with the C-130 aircraft, this inssue could impact operations related to civilian and other military aircraft. The objective of this project was to devise an appropriate plan for the management of the compressor wash water waste stream. Several steps were executed to meet the objective. The first step was initial information gathering. Samples of the compressor wash water effluent were collected by base level bioenviroimental engineering personnel and analyzed for cadmiumi concentration. Coordination with base level engine maintenance personnel provided key insight hito the compressor wash process and some basic engine information. Sample results indicated a relatively high level of cadmium, so base level personnel began to investigate potentinal sources of the pollutant. In order to include risk-based decision-making in the management of this waste stream Armstrong Laboratory was requested to conduct a public health assessment. This effort involved extensive sampling of the compressor wash water efilueiit, soil adjacent to the tarmac and from the stream bed, and stream watsr at tlie NPDES compliance sampling location. The C-130 Aircraft, each utilizing four Allison T-56 engines, is the aircraft of discussion for this paper. Technical order madated compressor washes were performed every 75 days for each aircraft. Soap and water solution was introduced to the engine at the anti-ice valve and was circulated bt rotating the engine with the starter unit. Water was then pumped through the compressor to rinse out the dirty soap and water. The entire process took nearly one hour per aircraft, and approximately 75 galons of soap and water mixture were used. Nearly 60 percent of the solution dripped through the engine cowling, while the remaining 40 percent was released with the engine exhaust. Wash effluent was released to tlie ground on the flight line. In January 1992, the first of four engine wash effluent samples was collected and tested for the cadmium toxicity characteristic and the ignitability characteristic. Toxicity Characteristic Leaching Procedure (TCTP) result indicated a mean cadmium concentration of 10.1 mg/L with a standard deviation of 1.23. The regulatory level for the TCLP of cadmium (1mg/L), as specified in 40CFR 261.24. was exceeded. In cold weather, the T.O. allowed the operator to add alcohol to the soap and water solution to inhibit freezing. Without the alcohol in the solution, the sample flashed at 189 degF. What was the source of the cadmium in the effuent ? A standard practice in the engine industry had been to electroplate some internall engine components with cadmiumprimarily for corrosion resistance. Through normal engine wear, the electroplanted cadmium released from adjoining surfaces and formed a girt. The gas path cleaner rinsed away the cadmium-tainted grit. Was cadmium still being used ? Because cadmium was highly regulated by the Environmental Protection Agency and the the Occupational Safety and Health Administration, industry had sought replacements for cadmium. Through attrition, the cadmium coated blades will be replaced with invodized aluminum blades. Where was cadmium found in the T-56 engine ? Compressor blades and vanes in the T-56 engine were electroplated with cadmium. Identifying the source of the cadmium pollution allow base personnel to focus on coordinating more extensive sampling efforts with Armstrong Laboratory. In February 1994, Little Rock AFB commissioned the Occupational Medicine Divisini of Armstrong Laboratory (AL/OEMH) at Brooks AFB, Texas to conduct a public health assessment. The scope of the sampling effort included screening compressor wash water effluent, soil, and stream water originating from tarmac runoff for cadmium. The sampling was conducted in July 1994. Since this project was a public health assessment, samples were analyzed for total cadmium concentration not dissolved cadmium concentration that would have been more comparable to the previous TCLP results. A total of 22 compressor wash water effluent samples, 84 soil samples. and 16 stream water samples were analyzed for cadmium. Because the compressor wash cycle was a two step process (wash and rinse), water effluent from each step was collected and analyzed separately. The average total cadmium concentration from the wash cycle was 24.3 mg/L with a standard deviation of 18.9, and tlie average concentration from the rinse cycle was 11.1 mg/L with a standard deviation of 7.6. The soil sample results ranged from note detected to 151 ppm. The highest cadmium concentrations were found adjacent to the tarmac. The average cadmium concentration in soil with 50 feet of the tarmac was 11.6 ppm. The average cadmium concentration in stream bed soil was 1.2 ppm. The stream water samples resulted in 14 "note detected" and two in the part per billion range (1.6 and 47 ppb). These results indicated that the cadmium being washed off the tarmac due to rain events was binding to the soil adjacent to the tarmac. This was a logical condition considering the clay soils indigenous to the region. Sampling team members wore air sample pumps to assess the occupational exposure from cadmium. The results were consistently at least ten times below the occupational exposure limit for cadmium (0.01 mg/m3, total dust/particulate). An X-ray fluorescence (XRF) spectrum analyzer was utilized to determine the presence of cadmium on the tarmac. The XRF results were inconclusive, possibly due to backscatter problems. associated with the concrete tarmac. The base requested additional support from Armstrong Laboratoiy to determine environmental compliance. This additional support was directed toward wastewater compliance, since the only viable short-term management option for Little Rock AFB was draining compressor wash effluent to the sanitary sewer. Public health impact at installations was a function of tarnac runoff path and distribution, type of soil adjacent to the tarmac, and drinking water source. For Little Rock AFB, the public health risk was minimal. Tarmac runoff flowed away from populated areas, the soil adjacent to the tarmac was clay based: and drinking water derived from a surface water source 20 miles from the base. 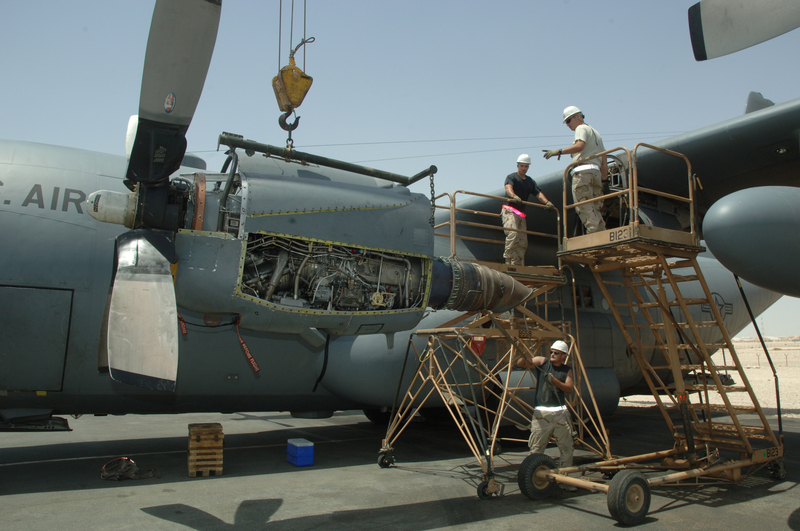 Recommendation: All C-130 installations should determine public health impact associated with past and current engine compressor wash practices. Tarmac runoff path and distribution, type of soil adjacent to the tarmac and drinking water source should be considered when determining public health impact. A potential environmental compliance problem existed for all installations operating the C-130 aircraft. The extent of the compliance problem was dependent on the local regulatory climate. Although the state granted the NPDES permit with no special provisions related to compressor washes, Little Rock AFB continued to search for a solution to possible future noncompliaace. 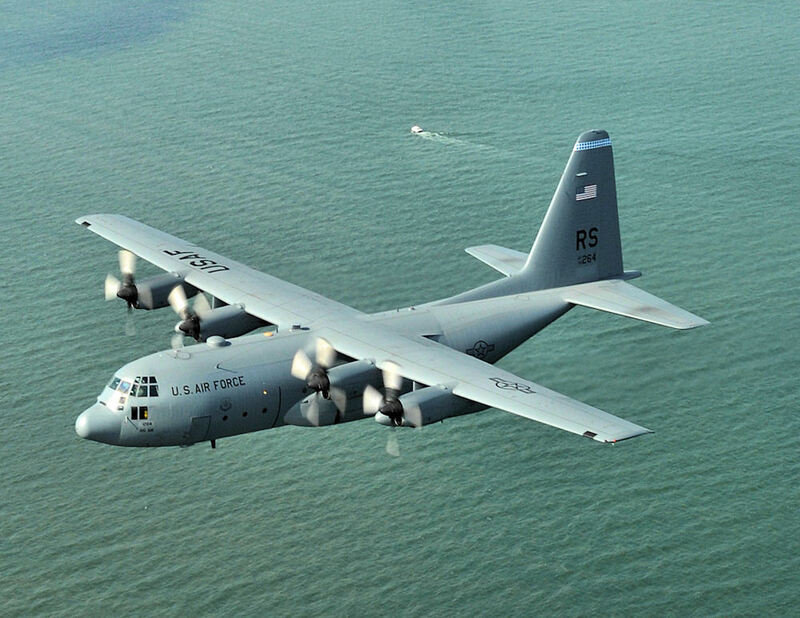 Recommendation: All C-130 installations should determine environmental compliance impact associated with past and current engine compressor wash practices. Hazardous waste and wastewater regulation and local environmental enforcement practices should be considered during this determination. Although there were several interim solutions, ranging from wastewater capture/drum/ dispose to closed-loop wash water reuse systems, the only true solution was elimination of the waste stream. There were two ways to accomplish elimination: 1) Replace cadmium coated vanes or 2) discontinue compressor washes. The latter option was much more viable because of the huge impact the formerr option would have on depot maintenance schedules for the T-56 engine. Recommendation: The Air Force should eliminate this waste stream. HSC/YAQ recommended that HQ ACC and the T-56 engine manager at SA-ALC/LPECE combine efforts and pursue discontinuation of the compressor wash operation.